Gounod - List of works. Best Classical Tunes. Charles Gounod (1818 -1893) was a French operatic and choral composer born and died in Paris. He lived in Paris at a time when light operas by Meyerbeer and other foreigners resident in Paris were all the rage. He started to contribute some more substantial, melodic and genuinely French music to the Paris scene. He studied at the Paris Conservatoire, won the Prix du Rom,, became influenced by the music of Mendelssohn and Bach, and started to write his own Operas, and some oratorios. Two of his operas remain popular today, Romeo et Juliete, and Faust, but the latter is by far his best known work. 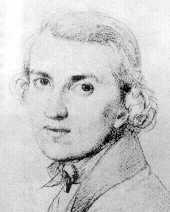 Works written by Gounod Audio is available for 4 tunes by this composer.